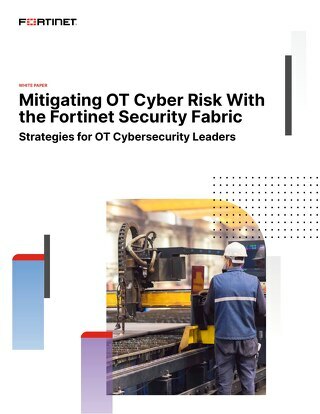 As an extension of the Fortinet Security Fabric, the Fortinet Multi-Cloud Security solution delivers critical visibility to secure distributed cloud environments—public, private, and hybrid. It provides elastic scalability, unified control, industry-leading performance, and advanced security features like segmentation to keep users and data safe. Additionally, Fortinet is the only firewall vendor to support all top-five public Infrastructure-as-a-Service (IaaS) clouds, as well as offering integrated cloud access security broker (CASB) visibility for Softwareas-a-Service (SaaS) applications. Learn more about the advantages of Fortinet’s Multi-Cloud approach. Learn more about our bundles which offer the services and tools needed to protect across the digital attack surface. 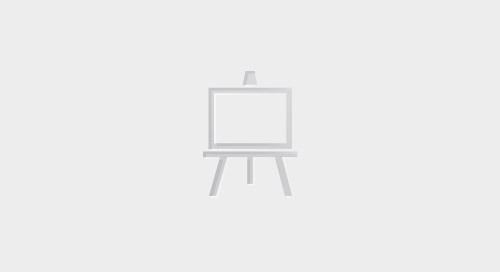 Review the collection of independent validations that Fortinet solutions received from NSS Labs real-world group tests. 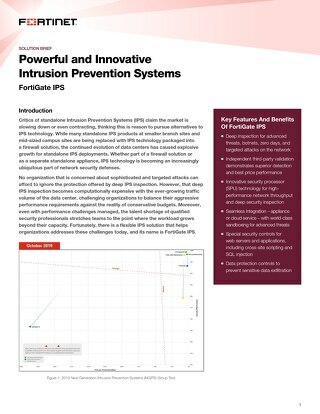 See how FortiGate IPS stacks up against other vendors on effectiveness and price of Data Center Intrusion Prevention Systems. Learn how Fortinet’s cloud security is designed to match the nature of the cloud itself. Learn about the three key aspects that a cloud security solution must address.